You know those spur-of-the-moment decisions that you immediately regret? You know, like eating a massive burger just for the sport of it? 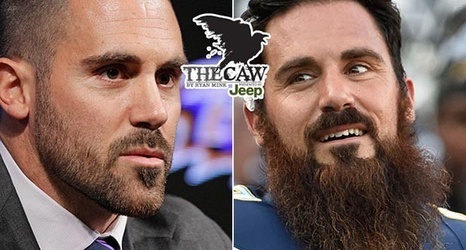 Well, that’s how Eric Weddle feels about shaving his big, bushy beard. Weddle shaved his beard on Feb. 2 and everybody keeps asking why the heck he would make such a rash decision. “I’m regretting the second that I shaved it,” Weddle said. I invite @weddlesbeard to grow back his beard so i can welcome it to Baltimore.